Dr. Alan Stern is a planetary scientist, space program executive, aerospace consultant, speaker, and author. He leads NASA’s New Horizons mission that explored the Pluto system and is now exploring the Kuiper Belt—the farthest exploration in the history of humankind. He has twice been named to the Time 100. Chasing New Horizons is the story of the men and women behind this amazing mission: of their decades-long commitment and persistence; of the political fights within and outside of NASA; of the sheer human ingenuity it took to design, build, and fly the mission; and of the plans for New Horizons’ next encounter, 1 billion miles past Pluto in 2019. 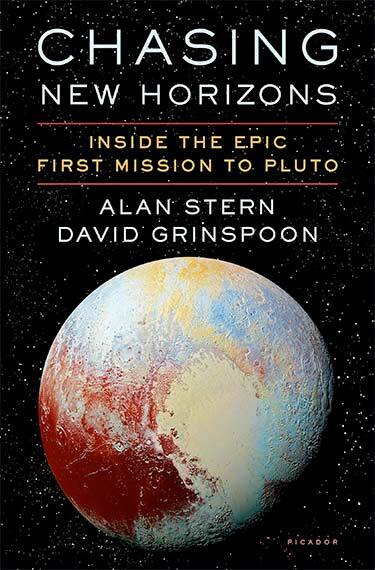 Told from the insider’s perspective of mission leader Dr. Alan Stern and others on New Horizons, Chasing New Horizons is a riveting story of scientific discovery, and of how much we humans can achieve when people focused on a dream work together toward their incredible goal.